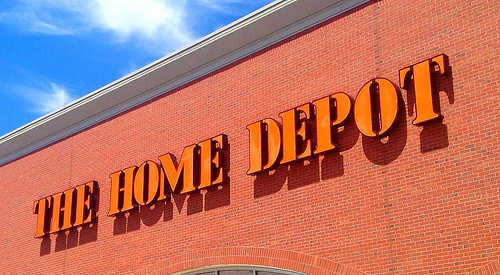 Service Costs > How Much Does a Door Install Cost at Home Depot? How Much Does a Door Install Cost at Home Depot? Whether you need your front door replaced and/or an interior door, Home Depot, as you probably know, offers a wide range of doors from popular manufacturers such as Andersen, Jeld-Wen and Masonite. As long as you purchase the door directly from Home Depot, they will be able to help install it for you for a fee by using one of their third-party insured installers. The costs of having a door installed by Home Depot will greatly depend on the type of door (exterior/interior) you’re looking to have installed, your location, the current promotion being held and the complexity of the job. From our research, customers, in order to receive a quote will first have to set up a measurement via one of their professionals, which, most of the time, will cost about $35 or so. This fee, however, like any Home Depot professional installation service they offer, will be credited toward the final bill if you do decide to go ahead with them for the installation process. Once you receive the measurements, Home Depot will then ask you to come into the store to discuss your options, look at potential doors you can buy and receive a finalized installation quote. Depending on the factors above, the costs to have Home Depot install a door can start at $100 to $125 per door via an advertisement, plus a $15 removal fee, if the door can simply be swapped out. If the door frame has to be modified in any way, there will be an additional $75 to $100 charged on top of these fees mentioned. These are the installation fees only and will not include the costs of the door. Refer to our “extra costs to think about” below to see what else you may need to budget for as most people do report paying much more than the advertisement price. Joseph Colangelo at ConsumersResearch.org confirmed these estimates we received and stated his wife was quoted $639 to install two storm doors. This estimate included the cost of the two doors ($200), the measurement ($35), $254 for the door installation and another $150 to add trim to the frame during the installation. InteriorDoorUpgrade.com, in its detailed guide comparing Home Depot and Lowe’s to their business, notes the labor fee often starts at $149 per door. If the installer has to repair any part of the door, such as the door jamb or changing the swing of the door, then additional fees may apply. Most of the time, it has been reported they will install a lockset for free during the door installation. An extra charge will occur for door disposal fees. If you want new hinges on the door, this is yet an additional fee to consider. Hinges, depending on the type, can cost $5 to $15 each, but once purchased, the store will install them for free. Home Depot does not install the doors; rather, they will outsource the job to a local and licensed contractor who Home Depot background checks, meaning you will have a different experience than most online as all contractors, as you can imagine, will vary. Home Depot will often only carry certain doors in stock, but some may have be special ordered, which could take up to 14+ days to arrive. When using the company’s installation services, they do offer a one-year installation guarantee. According to Home Depot’s official reviews, 79% would recommend their door installation services, with 22,000+ reviewers giving an average 4.2 stars out of five.